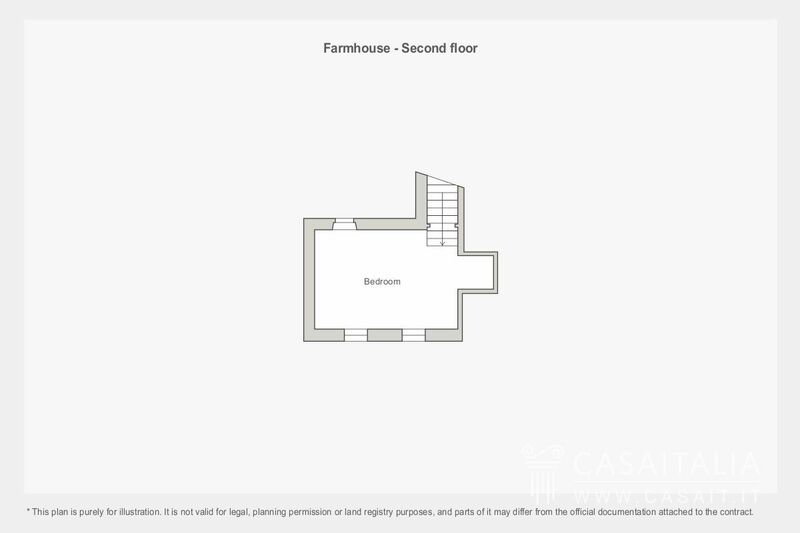 I would like to visit the property. 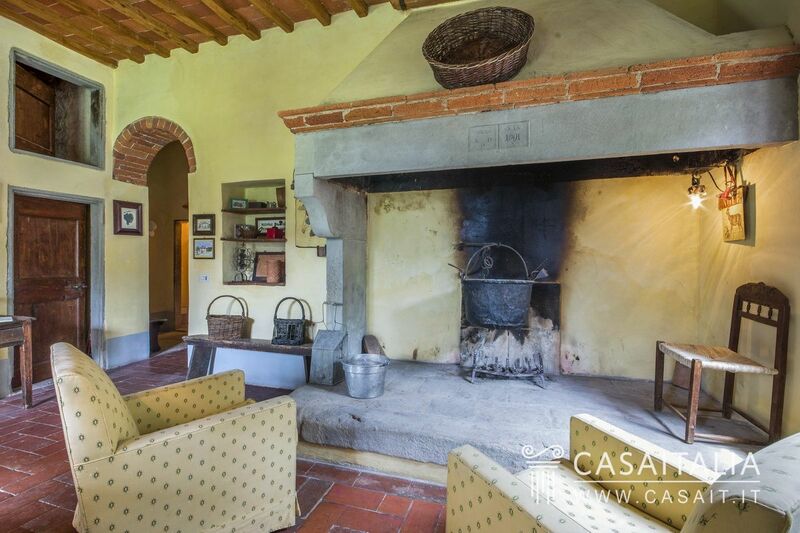 Restored villa divided into three separate apartments and surrounded by 2.9 hectares of land, with olive grove. 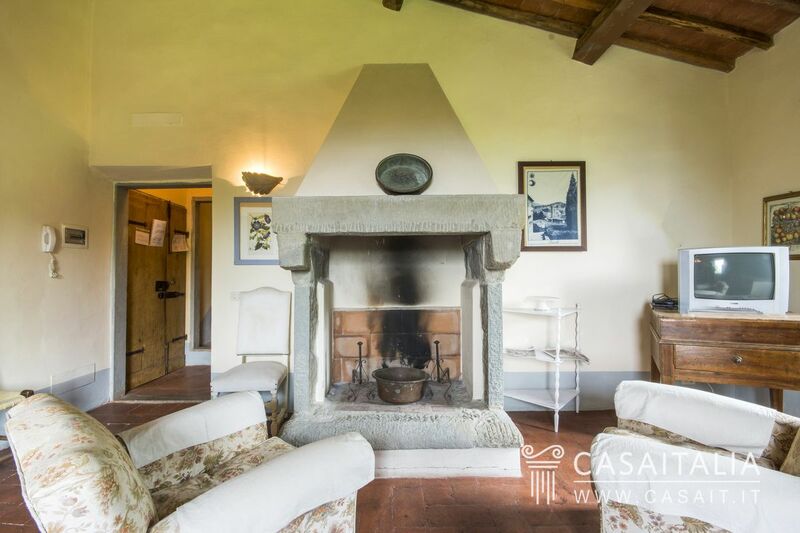 Measures around 448 sq.m in total, plus loggia, cellar, storehouse and old barn, and comprises pretty living area with fireplace, 7 bedrooms and 4 bathrooms. 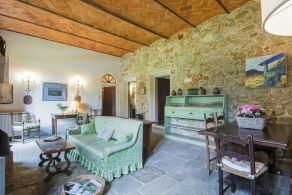 Villa Tuscany is situated around 25 km from Florence, in a hilly location surrounded by the marvellous, unspoilt Tuscan countryside. 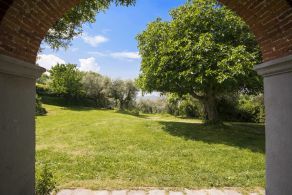 Conveniently accessible and not too isolated, the property is just 2 km from the nearest town, a useful place for daily purchases, while Reggello (8 km) is 10 minutes’ drive away and Florence (25 km) around half an hour away. The nearest airport is Florence, 56 km away (less than an hour’s drive). 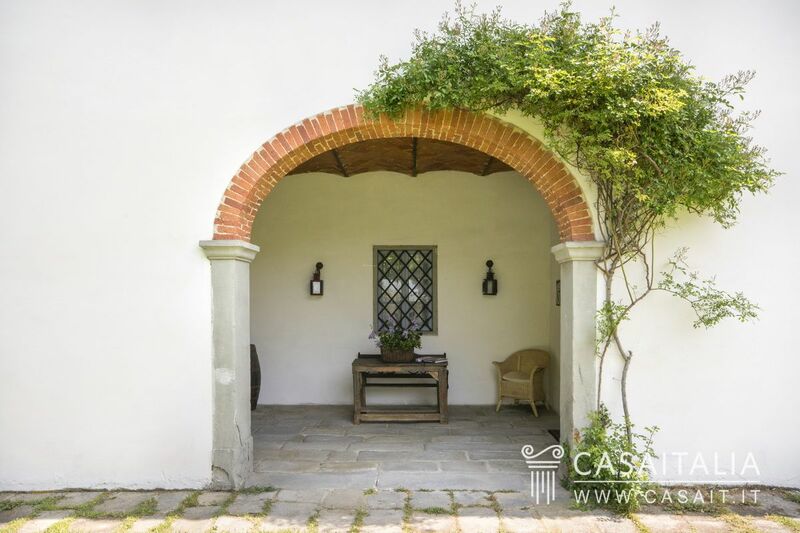 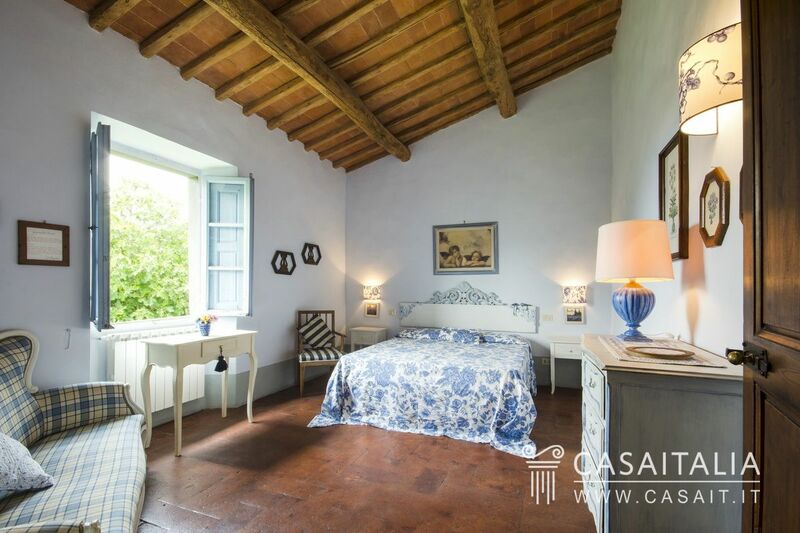 Villa Tuscany was built in the 1800’s, by order of the Grand Duke Pietro Leopoldo I di Lorena. 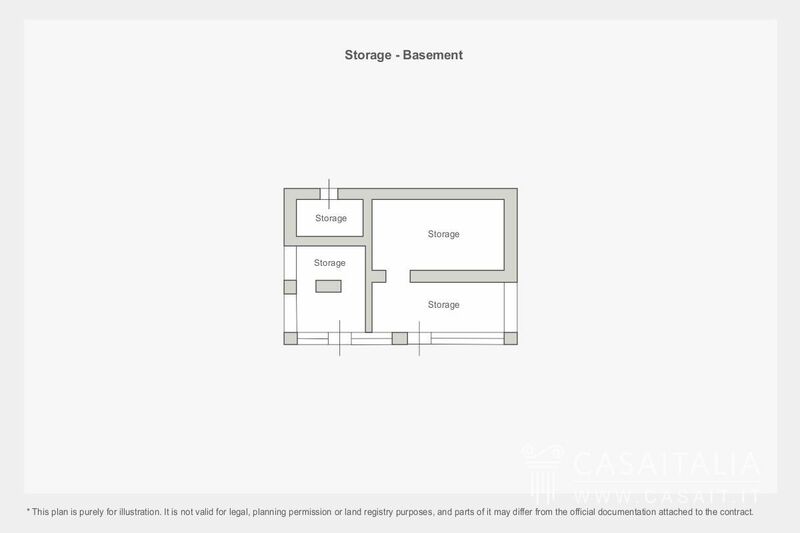 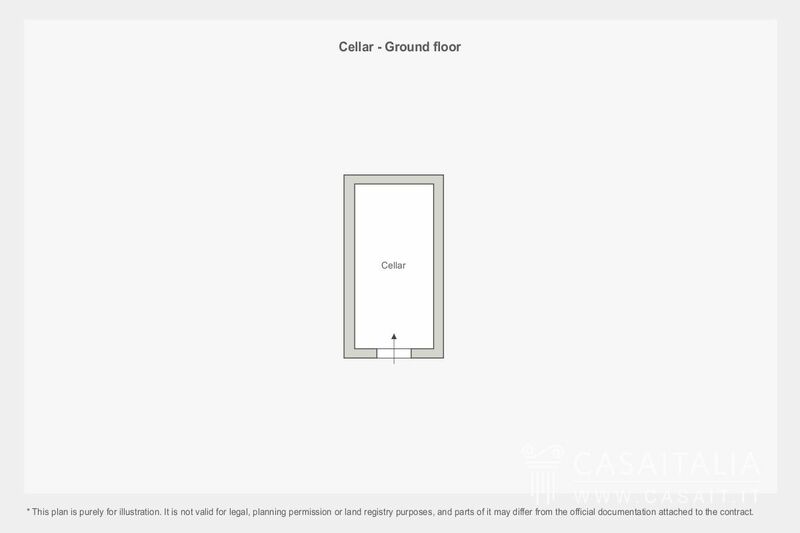 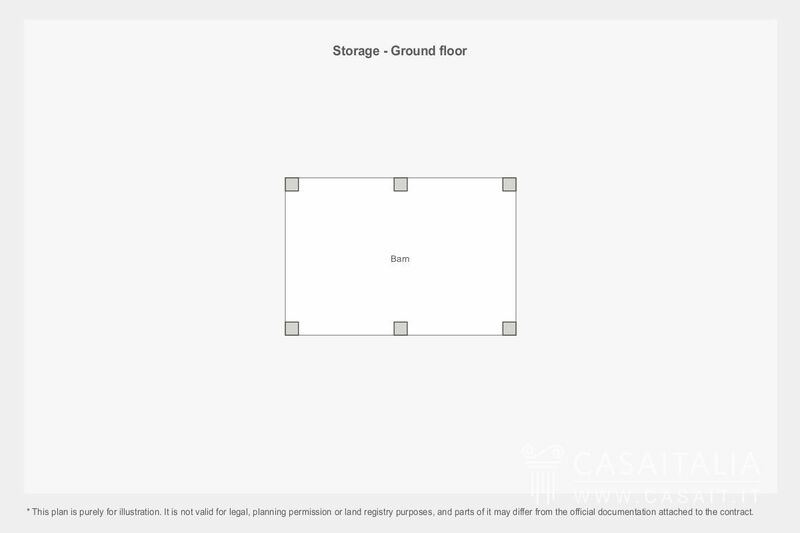 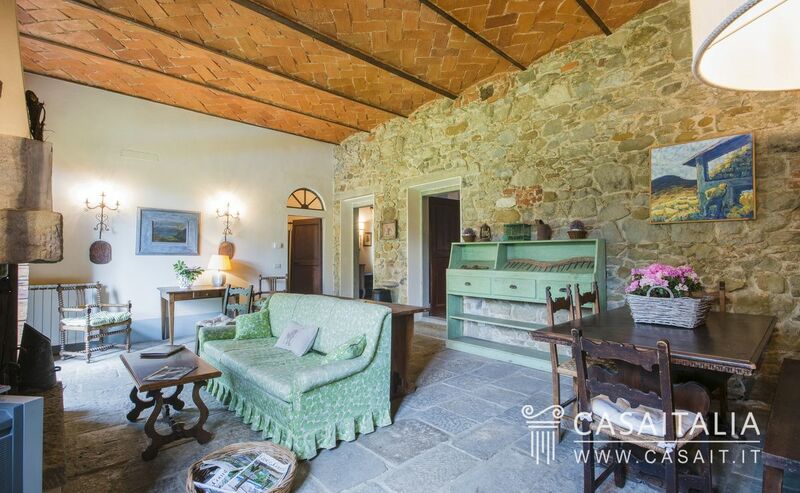 It measures around 448 sq.m in total, over three floors, plus a 19 sq.m loggia, a 22 sq.m cellar requiring restoration and a 45 sq.m basement storeroom with the old barn above it, also requiring restoration. 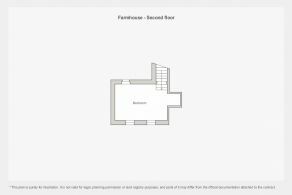 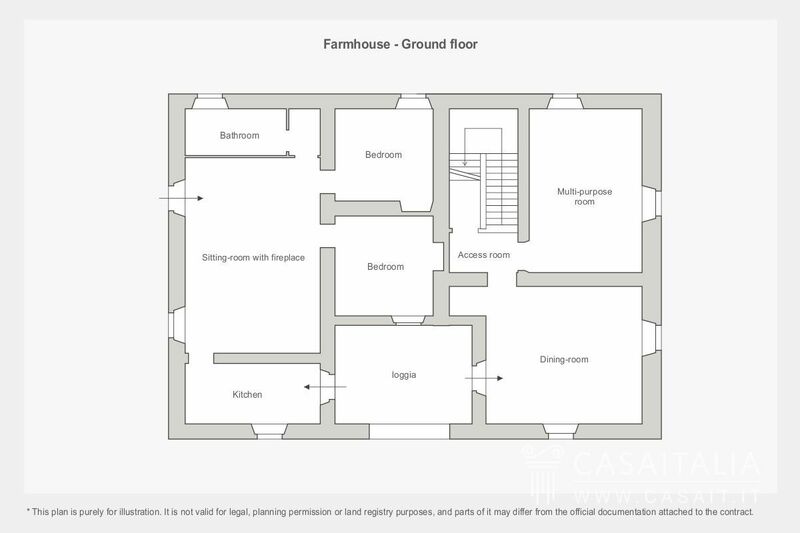 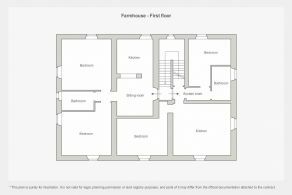 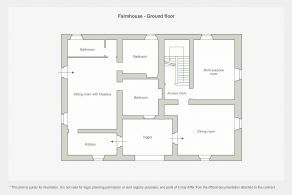 The building is currently divided into three apartments, one on the ground floor with access from the left side of the front porch and comprising a large living room with grey sandstone fireplace (in the area where the stables used to be), the kitchen, two bedrooms and a bathroom. 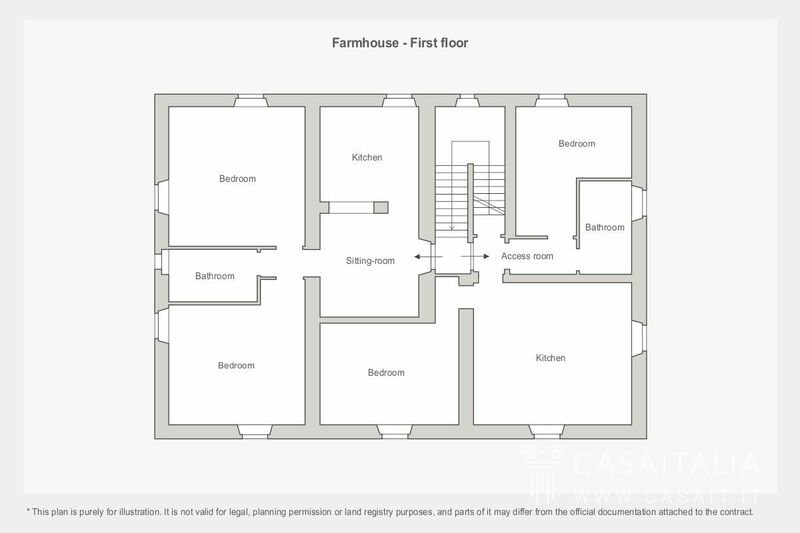 There is a communal area for the three apartments which is also accessible from the front porch, but on the right side, which comprises a dining room/recreation room with fireplace, another sitting room and a bathroom. 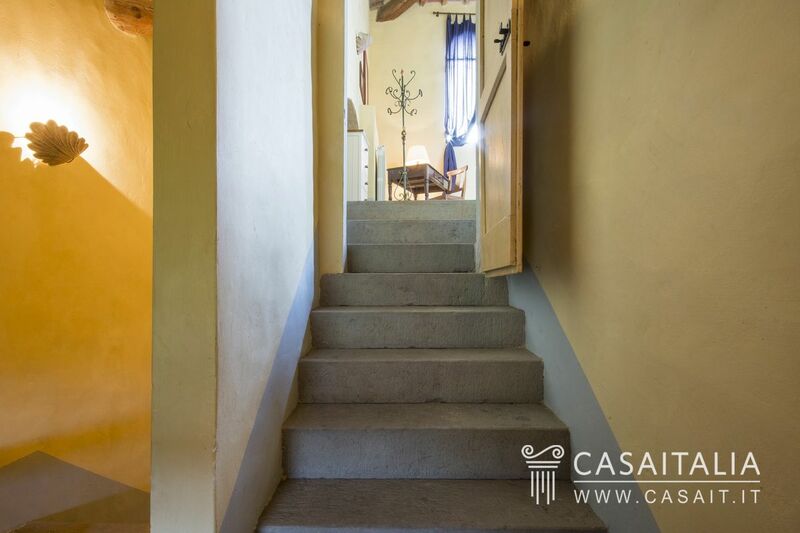 A staircase goes up to the first floor where the other two apartments are located. 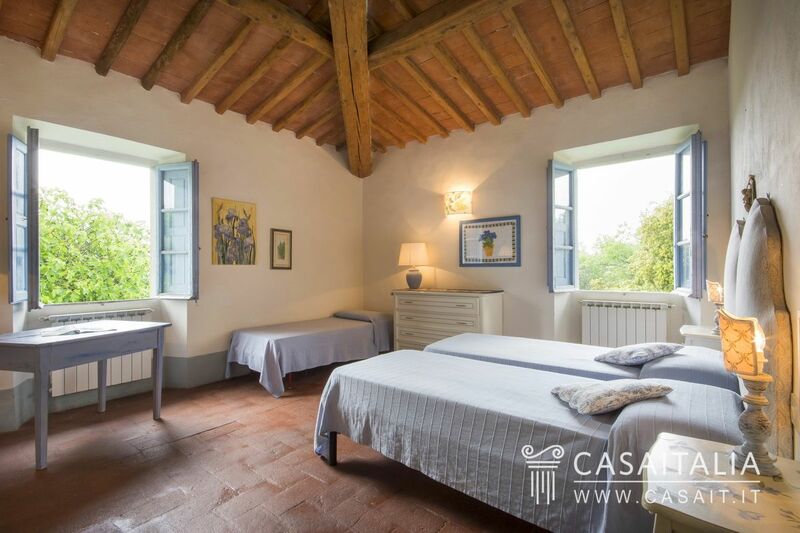 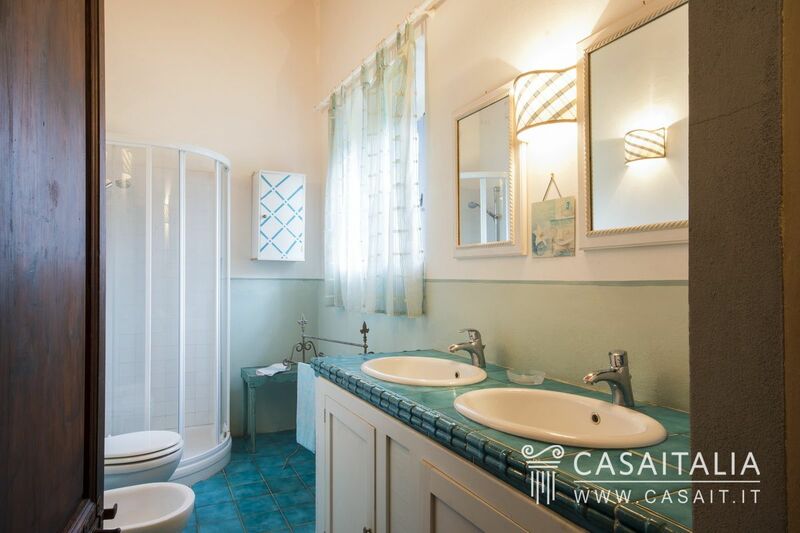 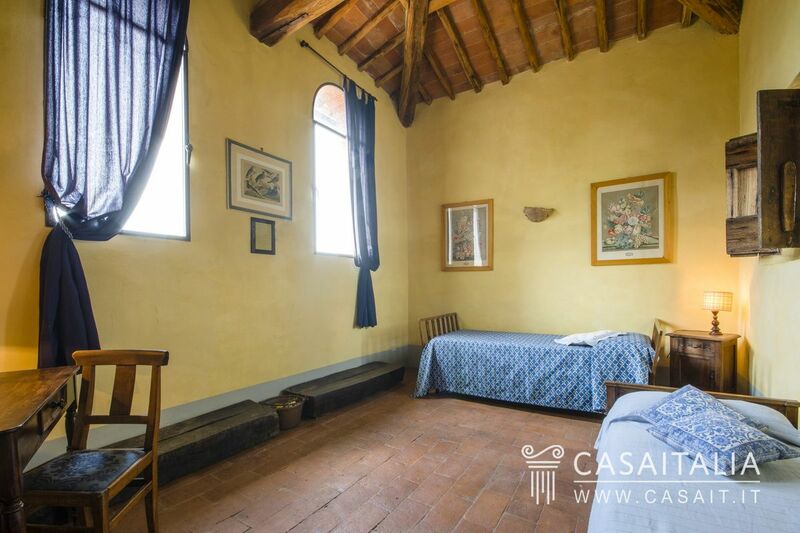 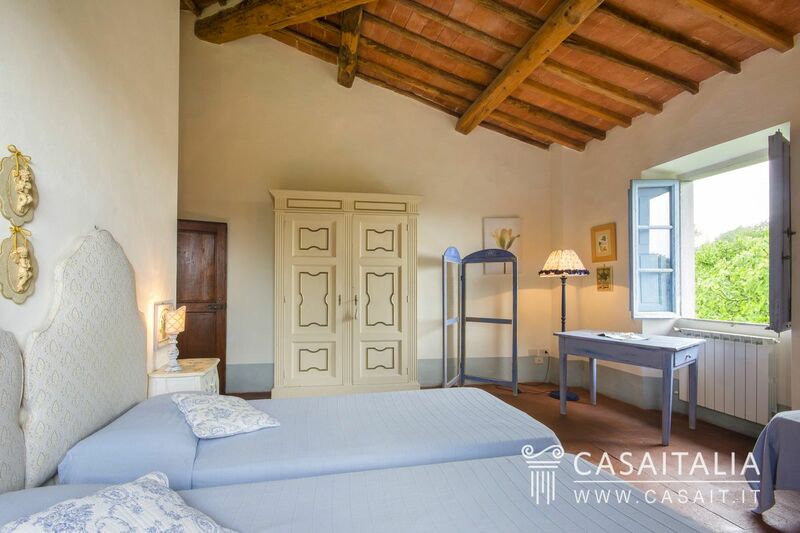 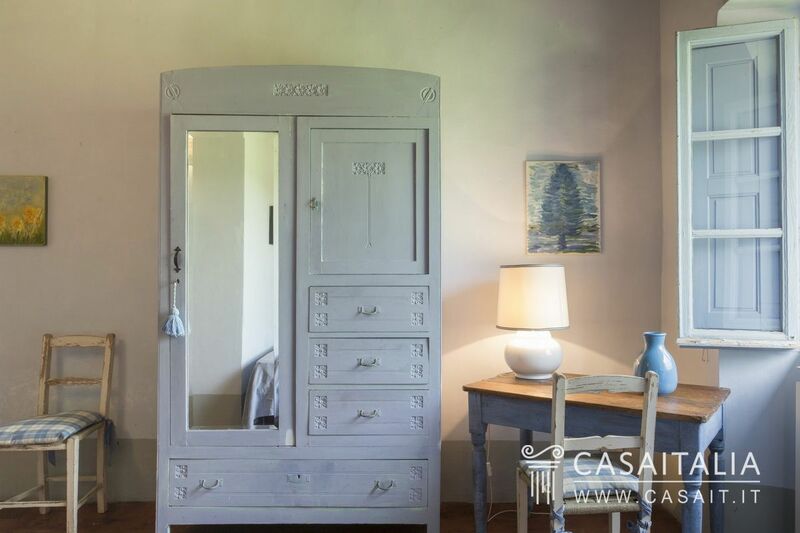 The first apartment has two floors and comprises a spacious living room with large grey sandstone fireplace, kitchenette, two bedrooms, a bathroom and, on the top floor, another attractive bedroom which has a view of the whole Valdarno valley. 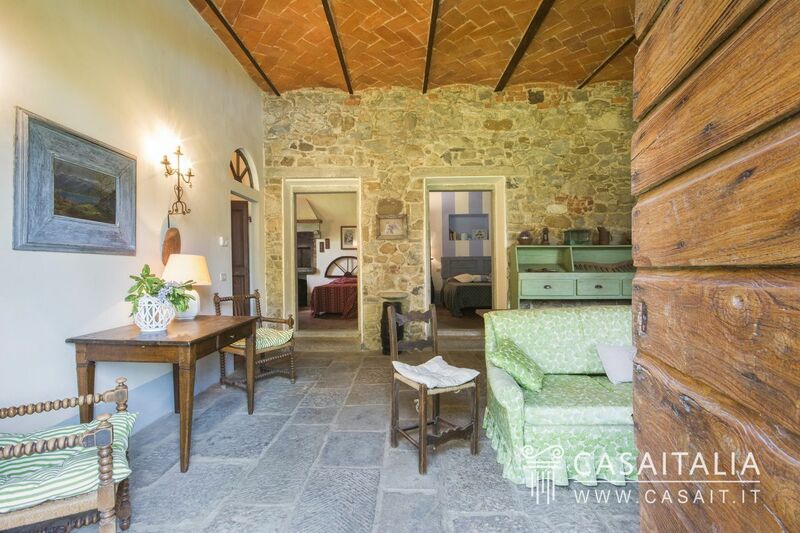 The other apartment, with just one floor, is divided into a cosy living room with arched doorways and windows, the kitchen with small grey sandstone fireplace, two spacious bedrooms and a bathroom. 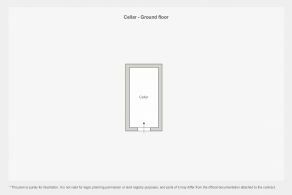 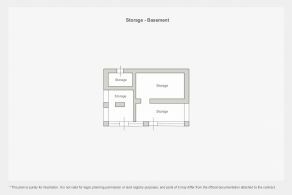 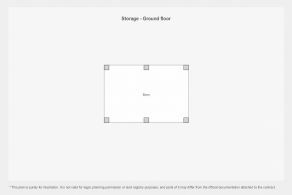 Outside there is a small building used as a cellar, measuring 22 sq.m in total and another building, at basement level, used as a storeroom with the old barn above it. 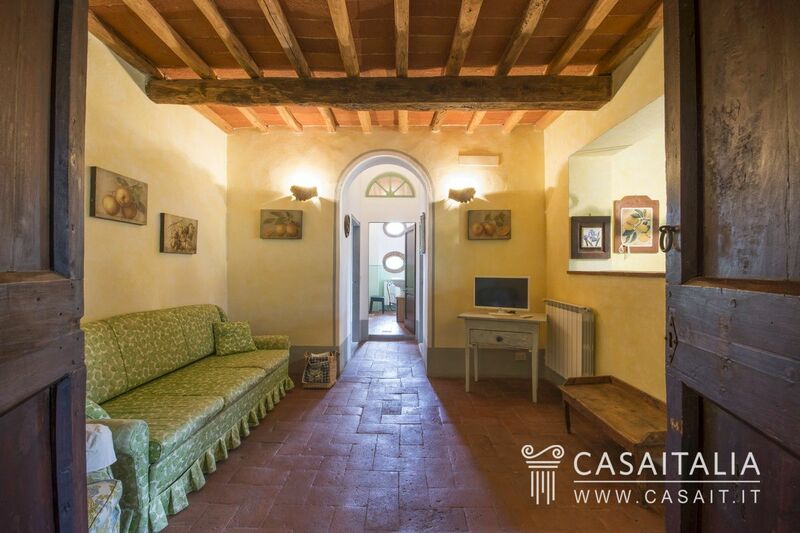 Both these buildings require restoration. 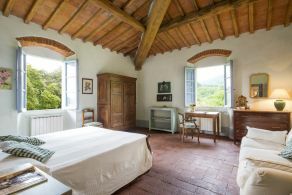 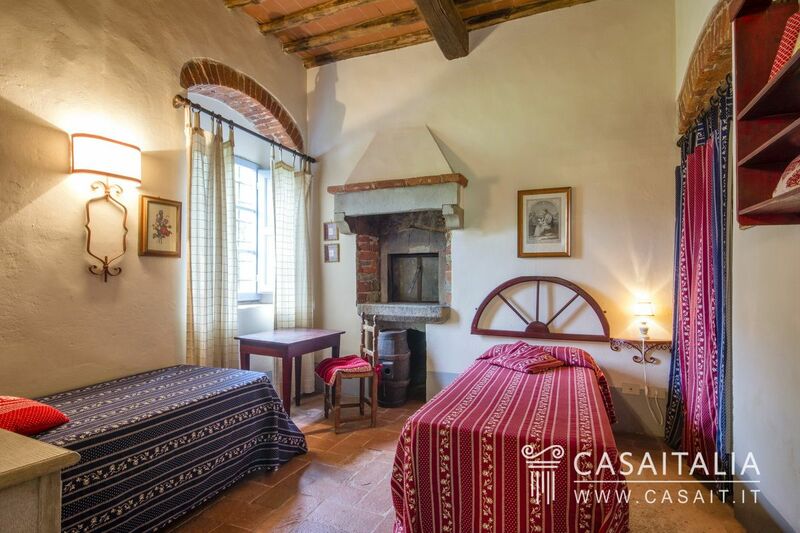 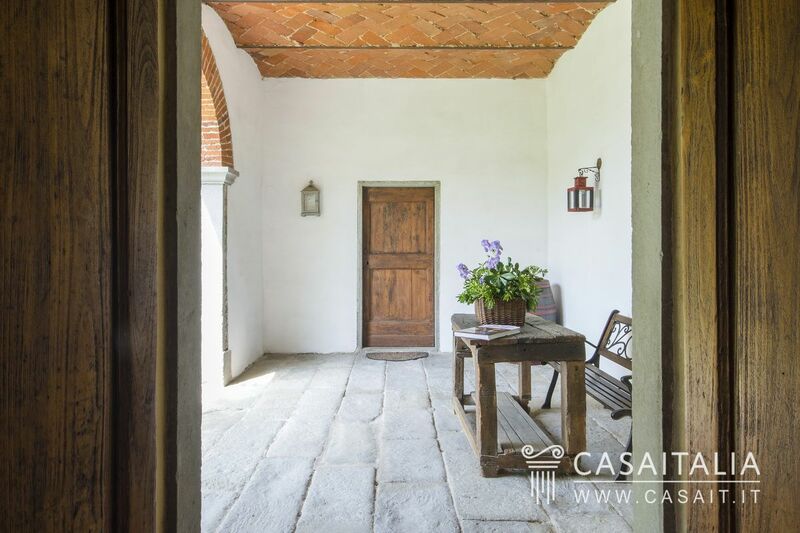 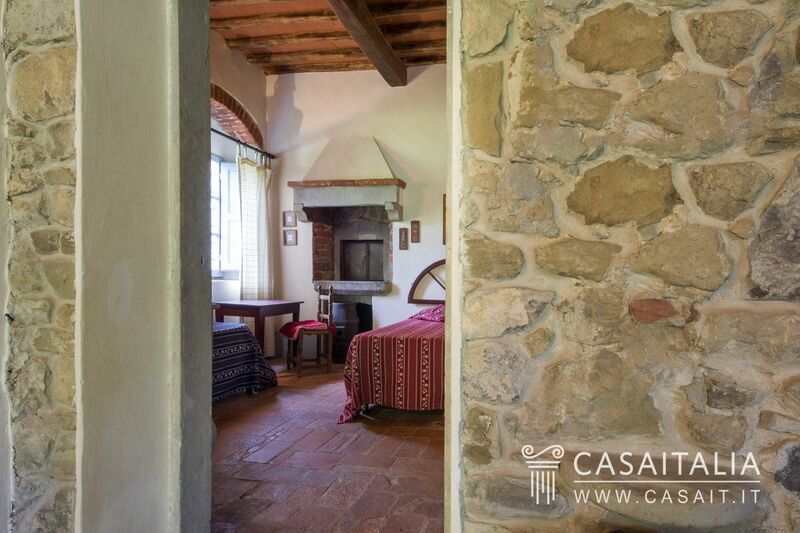 Despite undergoing recent restoration, the villa has retained its original architectural features: brick and tile floors, grey sandstone stairs and doorsteps, ceilings with exposed beams, brick arches, vaulted galleries and beautiful grey sandstone fireplaces. 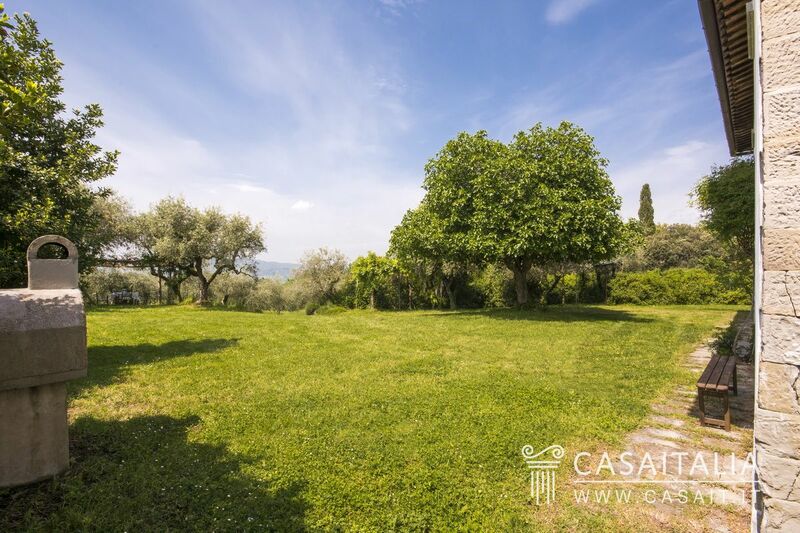 2.9 hectares of private land complete this property, with the area around the villa used as a garden and the rest with olive grove and woodland. 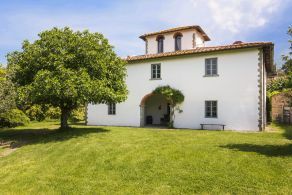 Villa Tuscany’s excellent location, hilly and panoramic and just half an hour from Florence, makes it a perfect holiday home or main residence, with the possibility of using one part as a small hospitality business, putting it on the holiday rental market. 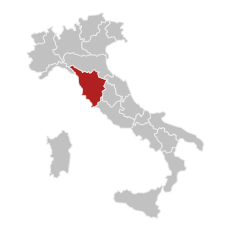 Characteristics: bathed by the Ligurian Sea in the north-central part and the Tyrrhenian Sea in the south, has a predominantly green and hilly inland territory, rich in vineyards and olive groves, while the coast has mostly low and sandy beaches, except for some major promontories such as Argentario, Ansedonia, Punta Ala, Castiglione della Pescaia. 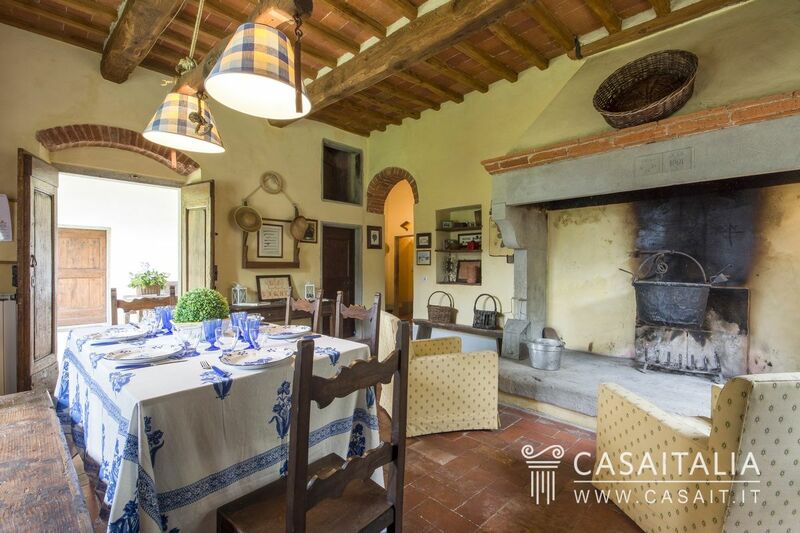 Located in Central Italy, Tuscany is one of the most popular and loved regions from tourists from all over the world, rich of famous historical centers and small and fascinating medieval villages (such as San Gimignano, Volterra and Montepulciano), with a territory rich in natural beautiful parks including that of Val d'Orcia, the Park of the Tuscan archipelago (with the islands of Capraia, Giannutri, Gorgona and Montecristo, part of the island of Elba and Giglio and the island of Pianosa), the Maremma Park and the many others that, along with the protected areas, helps to preserve intact the charm of this region. 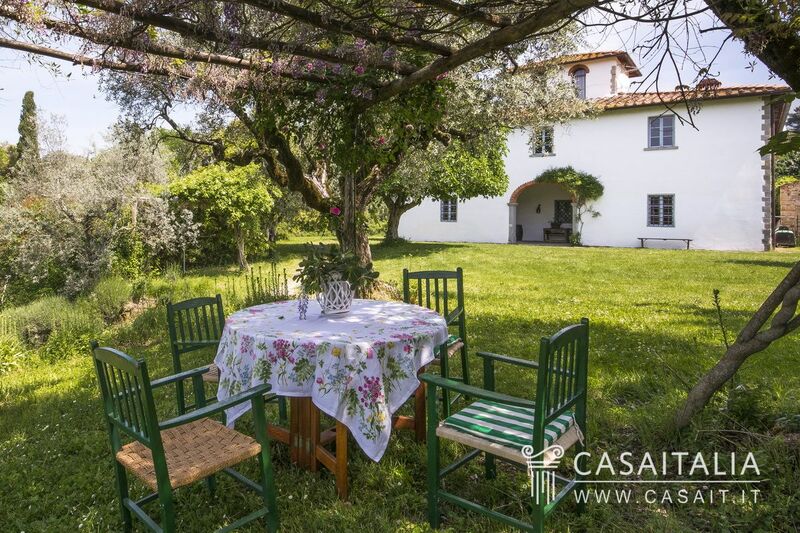 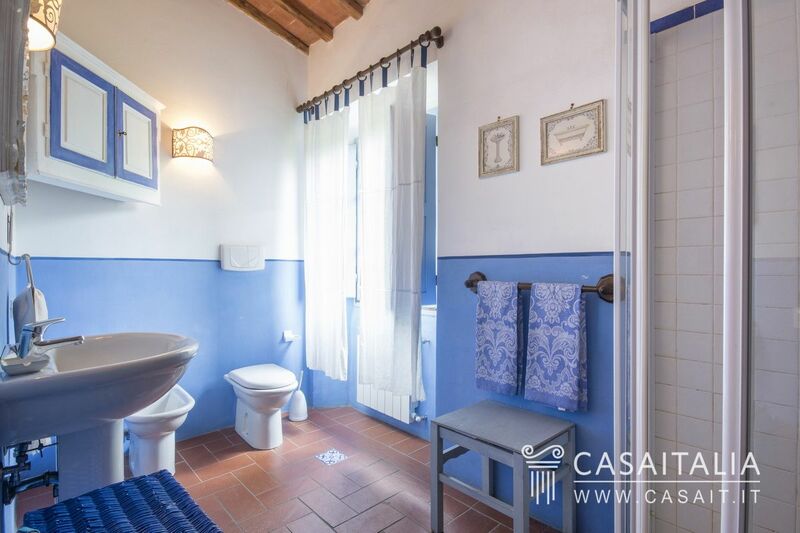 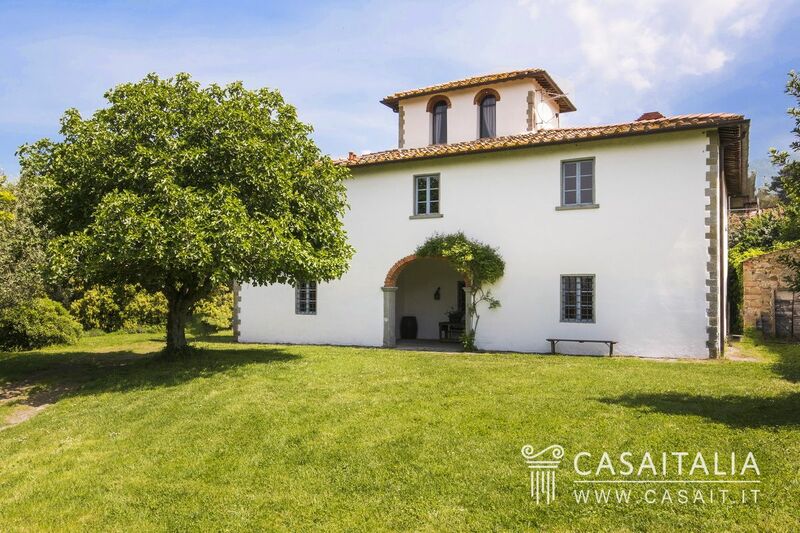 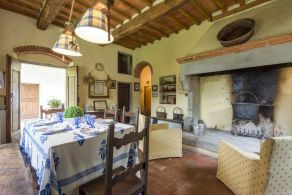 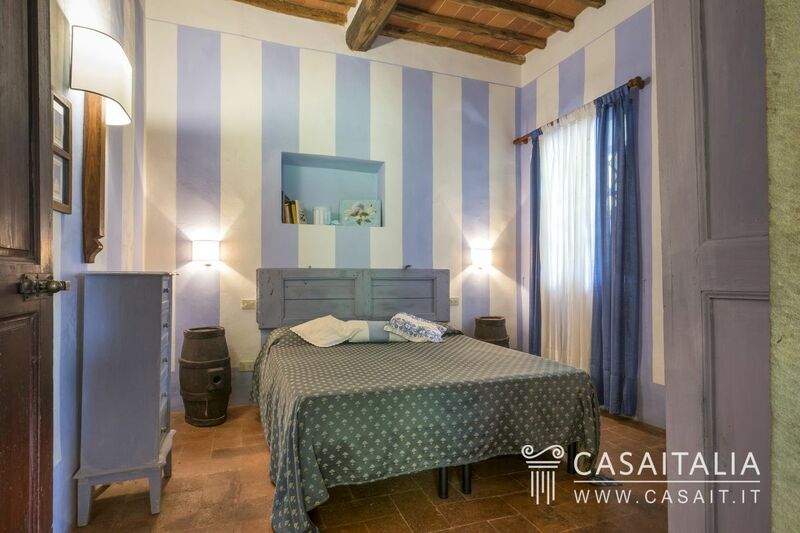 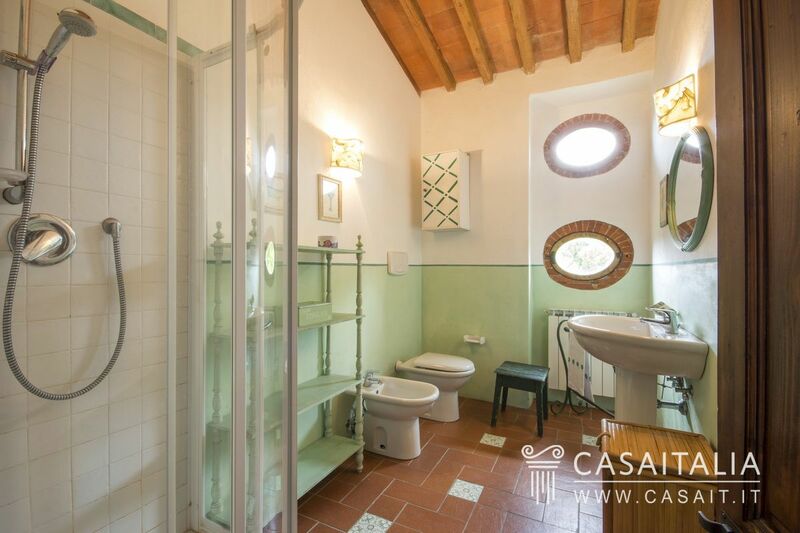 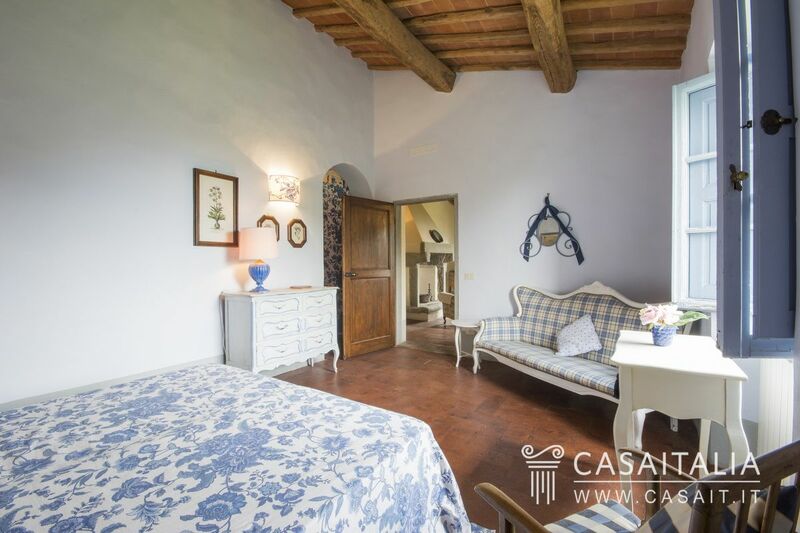 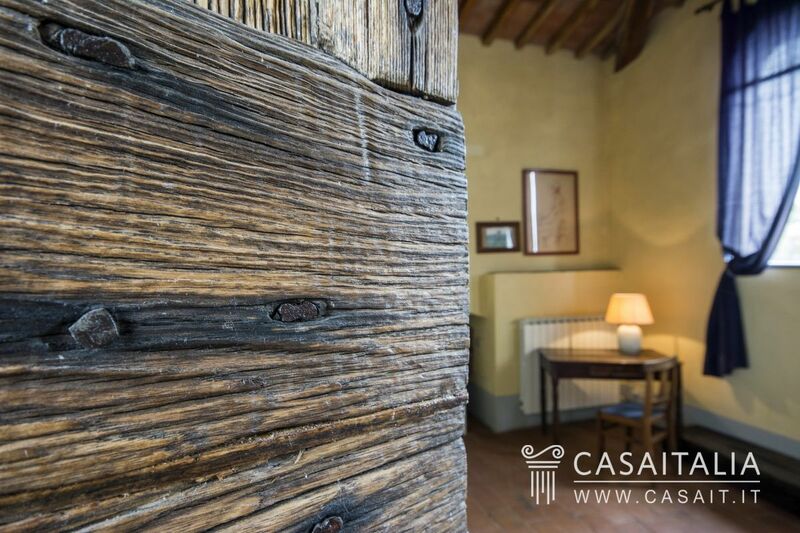 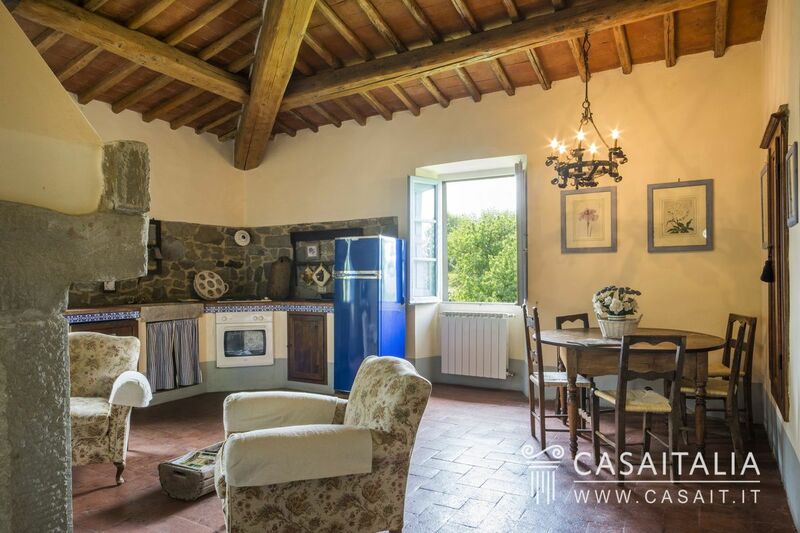 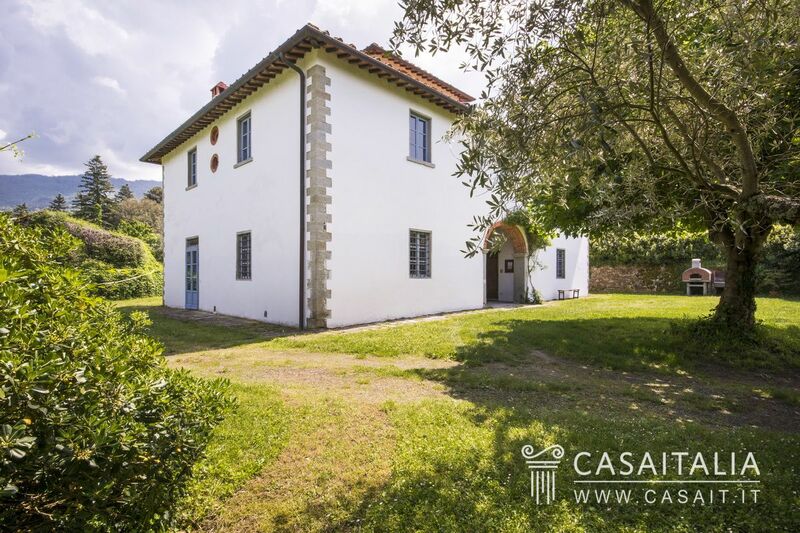 Property offer: in Tuscany is possible to buy typical farmhouses brilliantly renovated, in the areas of Chianti, Valley d'Orcia, the Crete Senesi or historic mansions in the old villages and the sea of Forte dei Marmi, Camaiore Lido, Viareggio, Capalbio, Porto Ercole, Punta Ala, Orbetello, but also luxury apartments in historic centers of Florence, Siena, Lucca, Pisa, Cortona, Montalcino, San Gimignano. Villa with pool and outbuildings for sale in Argentario. 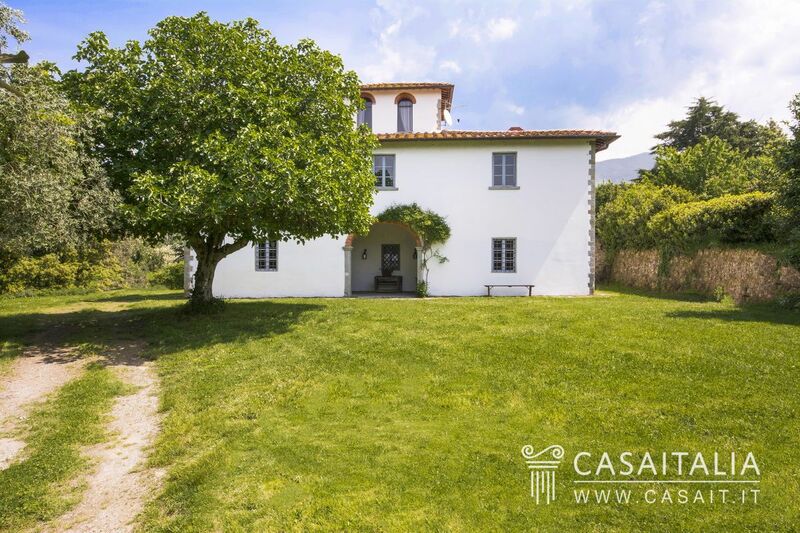 Luxury villa with over 1 hectare of grounds, pool, outbuildings and sea view.